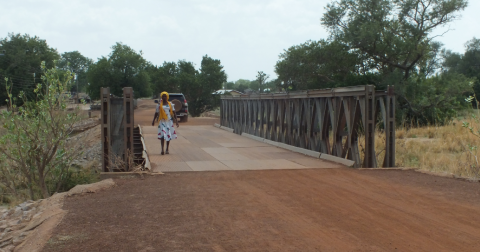 After several years of correspondence, prequalification and tender offer, Munck Civil Engineering and Ghana Highway Authority recently signed a contract for the offer 'Danida Bridges in Northern Ghana'. The contract is subject to final loan approval by the Parliament of Ghana. The project involves the construction of 7 composite bridges in concrete and steel as well as the establishment of ramps and renovation of 20 km of road. "The contracting is entirely in line with our strategy to increase activity within international infrastructure projects. We have known and worked towards this project since 2014, and therefore we are very pleased to have be chosen for the task," says CEO Hans Christian Munck. With a contract of approx. 400 million DKK, the project is comprehensive. Both Danish, foreign and local labor will join the task, and most of the team has already been set. Construction work is expected to commence in October 2018 and the execution period will be approx. two years.